Venezuelan President Nicolás Maduro has put his country’s army on high alert, claiming that opposition forces are planning to assassinate him. “I know about their criminal plans, those who lead the opposition, their plans to kill me,” Maduro said during a telephone interview with a Venezuelan TV channel. This is not the first time that Maduro and his government have accused the opposition, led by Juan Guaidó, of trying to carry out assassinations. Venezuela has been undergoing a leadership dispute over the past several months since Guaidó, the former leader of the national assembly, named himself interim President of the country. Guaidó based his rise to power on an obscure law in Venezuela’s constitution that allows the national assembly leader to be named interim president in the case of a leadership dispute. 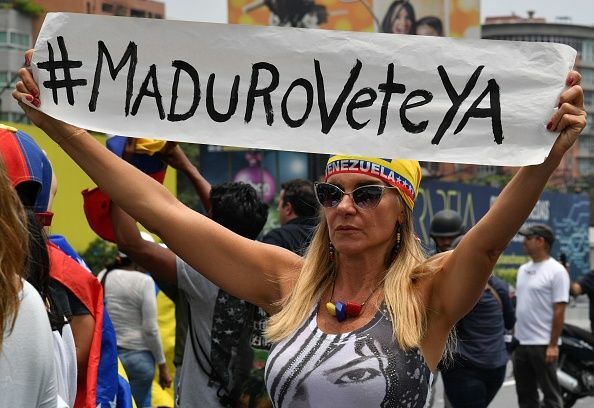 Venezuela’s opposition and many international observers say that Maduro is not a legitimate leader because the previous elections, held in May last year, were not free and fair. Governments around the world, including the U.S. and a number of Latin American countries, have recognized Guaidó as the country’s official leader until new elections can be held. But Maduro has clung onto power with the support of countries like Russia and Cuba. Much of Venezuela’s military has so far remained loyal to Maduro, but Moscow and Havana have both sent their own military backup to help protect the Venezuelan president. Meanwhile, the country, which has long been plagued by an economic crisis, has experienced electrical blackouts and a worsening humanitarian crisis. Experts have noted that Maduro is also using inflammatory language and conspiracy theories to bolster his support and portray himself as a victim of Western interference. “It’s Maduro’s time-tested tactic to spark fear and uncertainty in order to ramp up pressure and persecution. With Venezuelans struggling to survive on a daily basis, he uses himself–and cooked-up threats against him–as a rallying cry for his shrinking base,” Jason Marczak, director of the Adrienne Arsht Latin America Center at the Washington D.C.-based Atlantic Council, told Newsweek. “Wild claims of assassination attempts should be concerning and put the international community on high alert. Maduro, with the help of Cuban intelligence, has a plan and that is to find new pretexts for arrests of those who seek a return to democracy,” Marczak added. In January, government officials claimed that it had captured a group of hit men who had been hired by the opposition to carry out targeted assassinations in Venezuela. Colonel Oswaldo Garcia Palomo, who was living in exile following his retirement, was detained that month and accused of sneaking back into Venezuela and using a drone to full of explosives to target Maduro.